Do your homework on proposal. Get the best estimates you can on what ideas will cost. The Board of Education will fund. SELECT WHICH GRANT FOR WHICH YOU WILL APPLY. Pay attention to the purpose of each grant and make sure that your application fits that purpose. How will your ideas engage students with interesting, challenging and satisfying work? It is not necessary to serve a large number of children to have a good proposal. GIVE YOUR PROJECT A SHORT, EASY-TO-IDENTIFY TITLE A title that quickly summarizes your idea helps the Selection Committee. It also helps focus on the purpose of your project. NAME SOMEONE WE CAN CONTACT FOR INFORMATION ABOUT YOUR PROPOSAL DEF Selection Committees may need to contact people for more information in the midst of a meeting. Help them reach you! 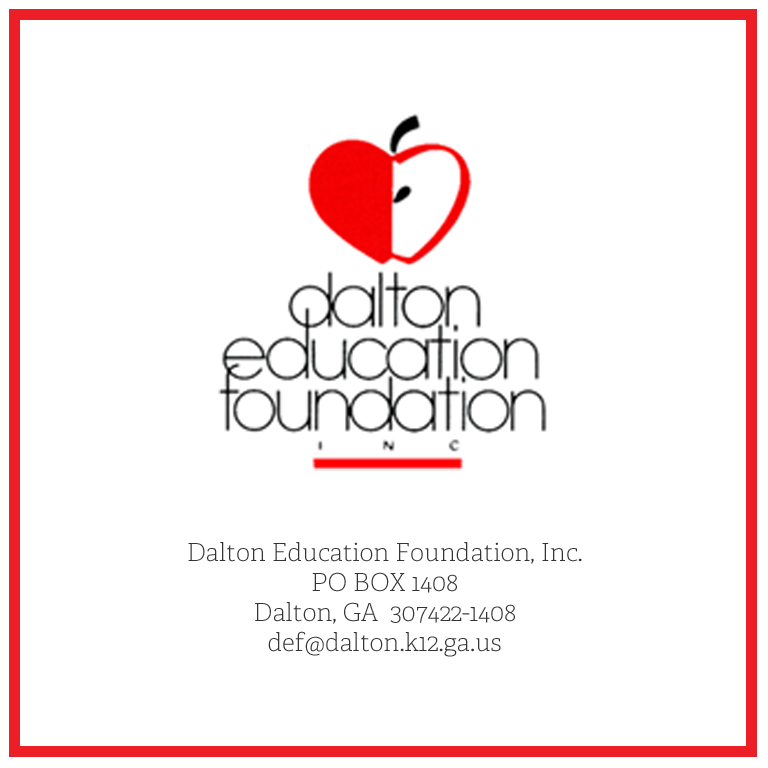 These grants were awarded to Dalton Public Schools’ staff for innovative instructional designs so that educators are provided resources not otherwise available to them. Congratulations to each of the individuals/teams who were awarded these grants. Renee Peppers and Sandy Crow - $1,125 and small desk lamp awarded.